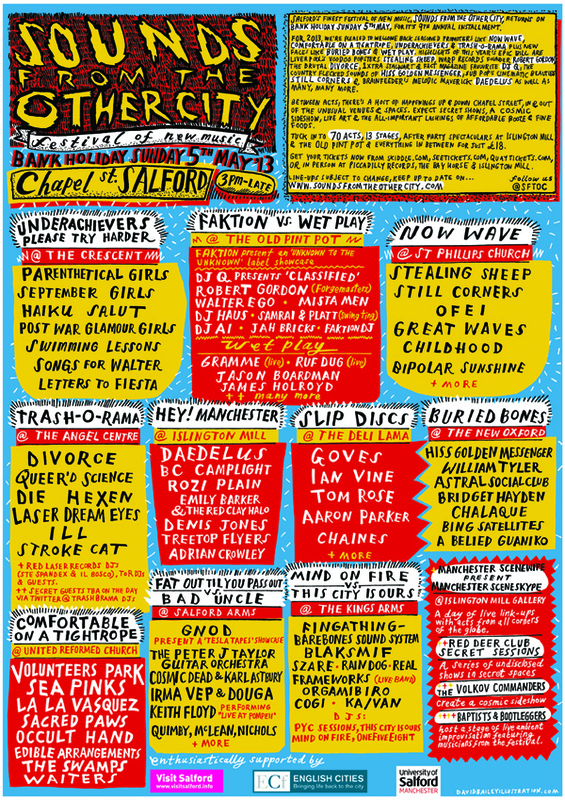 Next Sunday I’m doing a short set for the lovely folk of slips discs and Sounds of the Other City – a music festival of interesting music in mainly small venues on or near Chapel Street in Salford. I have three reasons to be happy about this – Ian Vine is going to be doing live guitar and electronics from his new album held/always/immer/gehalten, I’m going to be alongside slip discs veterans Tom Rose, Aaron Parker and Chaines and I’m also going to be joined by composer and violinist Bethan Morgan-Williams. See you there. Details here and festival poster below. Next Post Two from Dr Suss – recording of first live performance.